No one likes coming in second or third place; they want to be number one. With 73 percent of marketers producing more content now than they did one year ago –a pattern that is expected to be consistent year over year – you don’t want to be a content marketer; you want to be the content marketer. Did we mention infographics? Between YouTube, Instagram, Pinterest and Vine, visual content is at its prime, and there’s a pool full of hungry content sharks that are well aware of this fact. According to the aforementioned survey, infographics saw the biggest rise in usage by marketers, even when compared to 27 other content marketing tactics, including mobile apps, social media and eNewsletters. If you want to go from a guppy to a Great White, you need to become hyperaware of how you approach infographics. Click here to learn some quick tips for accelerating your infographic strategy. We get it, the economy isn’t that great and, as a result, your company’s budget has taken a serious blow. Sure, the working standard has called for one person to wear many hats, but at the end of the day, one person can only do so much. Don’t spread yourself too thin when it comes to providing for your content marketing strategy. CMI’s research not only shows that the most effective companies used an average of 15 content marketing tactics, but that 95 percent of B2B marketers are segmenting their content to provide all-time customization. We know you have a lot on your plate right now; onboard some new team members to help you oversee the program. Eighty-six percent of the most effective content marketers currently have someone else overseeing their content marketing strategy. If you’re currently on the fence about whether you should look to hire next year, do yourself a favor and commit. Content marketing can oftentimes confuse marketers in that they think it’s onlytextual or visual content they’re dealing with (i.e. infographics, blogs, eNewsletters, videos). This is of course important; however, marketers can sometimes forget about another critical element of the content marketing game: in-person events. In fact, the majority of CMI’s survey participants ranked it as the most effective way of reaching an audience, positioning it as more important and influential than case studies, videos and blogs. Take a look at some of the in-person events we’ve covered and you’ll see just how powerful in-person experiences are in conjunction with high-quality content. 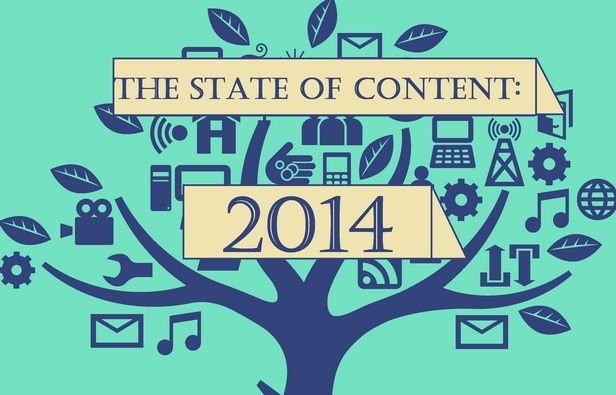 Focus on these three things and you’re bound to see your content marketing game spike in 2014.